A We-Vibe product is an investment in your love, sexuality and more often than not, a bond with your partner. Like those things, it is something that has to be maintained with care using only the best. 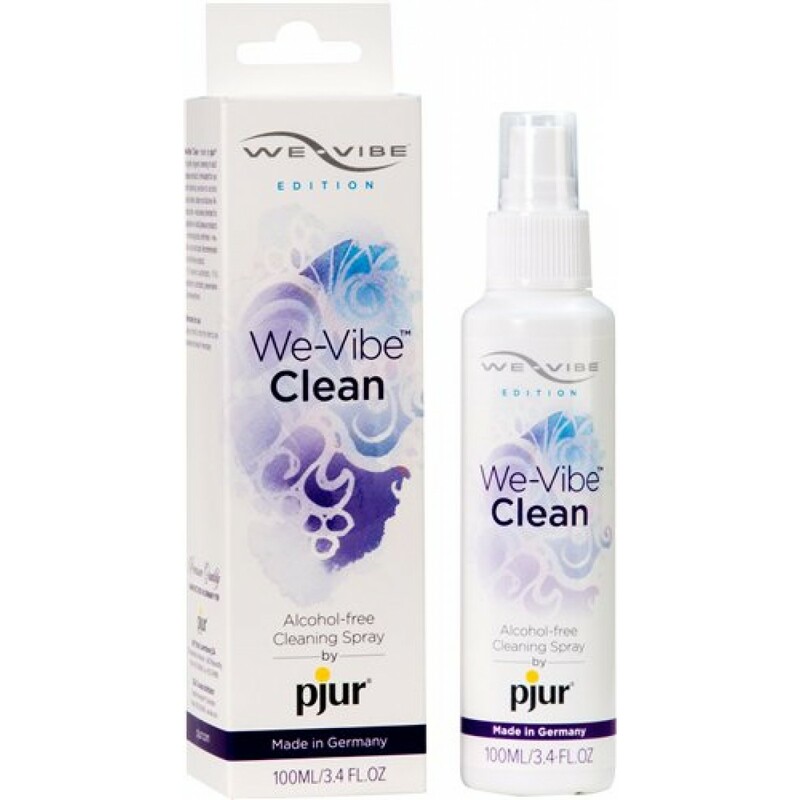 We-Vibe in partnership with Pjur - a premium brand known worldwide for its lubricants and toy cleaners - has released We-Vibe Clean. It is an alcohol-free cleaner that keeps your favourite We-Vibe items. Forumulated for use with materials that are sensitive to alcohol such as latex, rubber and silicone, it reduces odor, is exclusively intended for application on adult pleasure products, is dermatologically confirmed, and is neutral in odor and taste. Ingredients: Aqua (Water), Butylene Glycol, Phenoxyethanol, Propylene Glycol, Bis-PEG/PPG-14/14 Dimethicone, Cocamidopropyl Betaine, Demethicone.